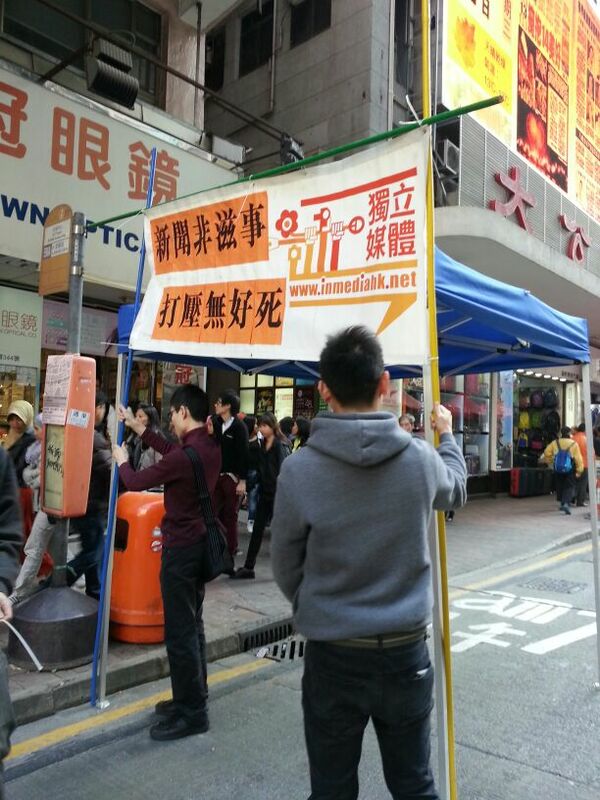 Civil Human Rights Front and Alliance for True Democracy organized the New Year’s Day Protest. About 30,000 people participated in it. 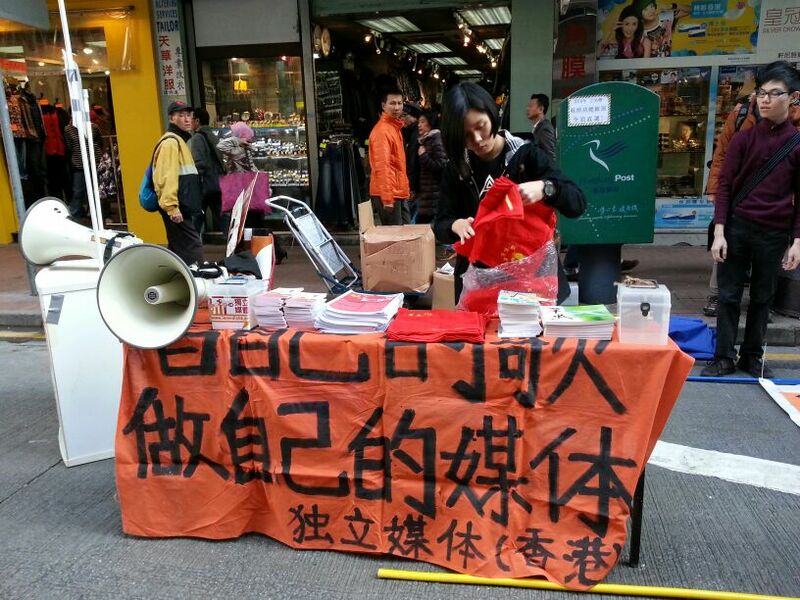 As last year, In-Media set up booth between Tin Lok Lane and Hennessy Road junction to raise funds and distribute booklets. Some contributed reporters and volunteers arrived to help. 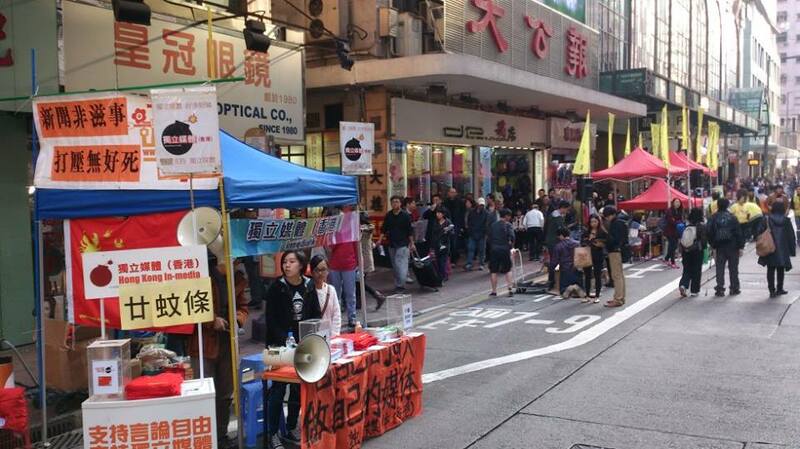 We raised about HK$ 7,000. Once again, thank you for your support! Our booth. 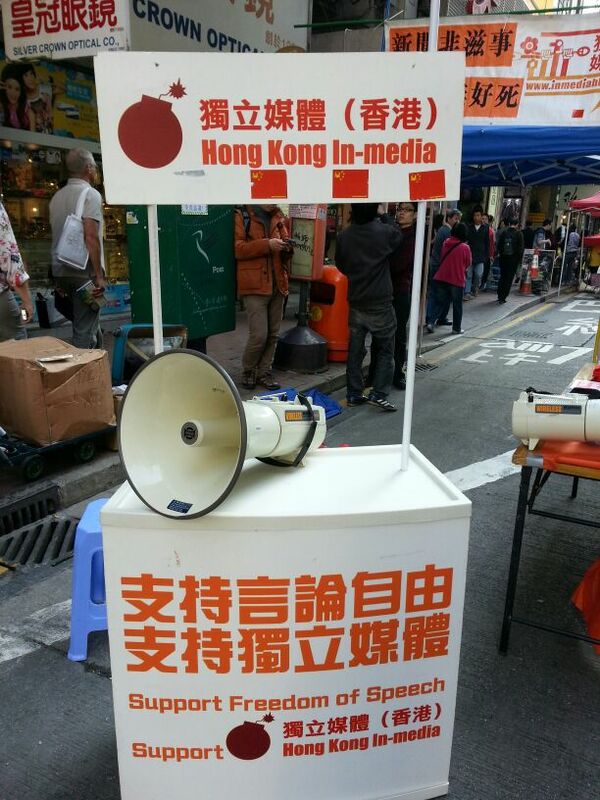 Support freedom of speech, support independent media. Our volunteer helped to set up the banner. Finally, the set up was completed. Let’s start fund raising.